When you’re looking to add durable, easy to maintain, and stylish flooring to any room in your house, there’s no better choice than laminate flooring in Williamsport, PA, from our showroom. With the ability to look like almost any type of flooring material, laminate is a versatile flooring option for any style décor. 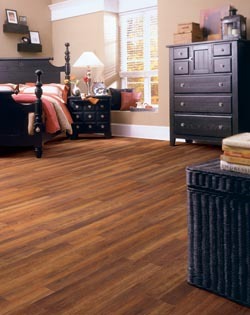 Our flooring showroom features competitive laminate flooring prices and selections. Stop by today to peruse our featured flooring styles, get design advice, and schedule your laminate flooring installation with our skilled technicians. We offer a full range of flooring options, including laminate tile flooring as well as regular specials and financing options for qualified buyers. Laminate is a popular material to use in modern flooring projects due to its water resistance and versatile range of appearances. Our store’s laminate flooring prices make it a great option suitable for all price ranges, stylistic preferences, and rooms. The best way to protect your new investment is to get it installed the right way the first time. Our laminate flooring installation technicians are able to fully remove your old flooring, prepare the subfloor, and properly install the new flooring so that it’s sure to last for many long years. In addition to the peace of mind that your floor is installed correctly, our Lifetime Installation Guarantee ensures that if you ever experience installation-related problems throughout the lifetime of your floor, we’ll fix it at no expense to you. Laminate flooring is made to last and stand up to virtually anything a busy household can throw at it. To keep your new floors looking brand new for many years, you can follow a few simple maintenance procedures. While laminate repels dirt and resists water, it’s important to sweep your floor regularly so it doesn’t appear dull or dingy. If mopping is required, be sure to use a laminate-specific cleaning solution and never let water pool or stand for an extended period of time. Contact us to schedule laminate flooring installation with our team. We’re proud to serve clients in Williamsport, Pennsylvania; Jersey Shore, New Jersey; Muncie, Indiana; and the surrounding areas.